CHITTENDEN—It’s the end of August, which means students in the towns of Chittenden and Mendon who attend Barstow Memorial School are headed back to school. 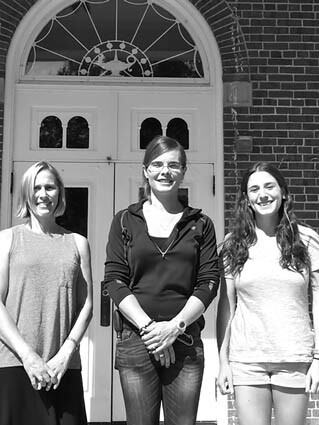 This year, students will welcome a few new staff members to the building, including nurse Amy Ridlon, third grade teacher Coral Ward-Torelli and head custodian Alison Patterson. There has also been some changing of responsibilities for some returning staff. Sue Boyer has moved from first to second grade, Julie Batease from third to fourth grade, Meghan Fox has taken on the new position of academic interventionist after teaching second grade and Bob Myers is adding sixth grade literacy to his duty assignment, which includes 6, 7, and 8 social studies. The elementary school will be utilizing a new WIN block, short for “what I need,” aimed at providing ‘just-in-time’ instruction in the areas of math and literacy for students in K-3 grades, under the guidance of Mrs. Fox. The 6-8 grades instituted this program last year, and found that in conjunction with ungraded enrichment opportunities, such as adirondack chair building, trail blazing, band, and chorus, this time met the needs of all students and enhanced their educational experience. In other news, over the summer Barstow’s wooden playground center was deemed unsafe after an inspection and is currently fenced off for the safety of our students. Therefore, we are currently seeking donations and ideas to replace this important equipment. Also, Barstow continues to be a peanut/tree nut-safe school. Please make all efforts to avoid sending any items with peanuts/tree nuts to school as we do what we can to keep all students safe. Finally, everyone should remember to stop for all school buses when they have their red lights on. This is Vermont law. To stay in contact with the goings-on at Barstow, parents and community members are encouraged to use the ‘Remind’ app to stay in contact with Principal Castillo, her monthly e-newsletter emailed on the first of each month, as well as the school website (barstow.rnesu.org). Barstow is also on Facebook and Twitter. Barstow welcomes our new staff members. Pictured (l-r): Amy Ridlon, nurse; Alison Patterson, head custodian; and, Coral Ward-Torelli, third grade teacher.